It's FUN to be ONE! So let's celebrate and smash some cake! 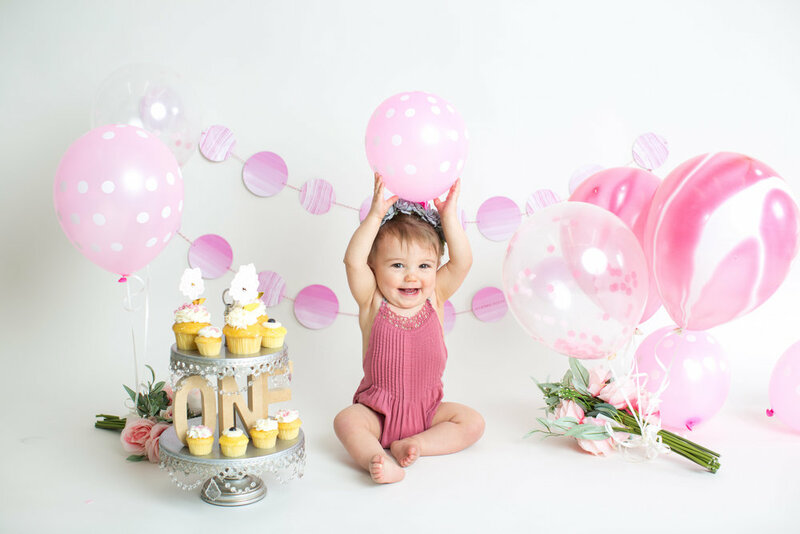 The first birthday comes with so many accomplishments after a year of so much growth and changes. From a sweet little newborn to an active crawler and now on the cusp of toddlerhood I'm sure the year has flown by. Let's take a moment and freeze a few of these fleeting moments. This session is really all about documenting this milestone and all of the joy that surrounds it. 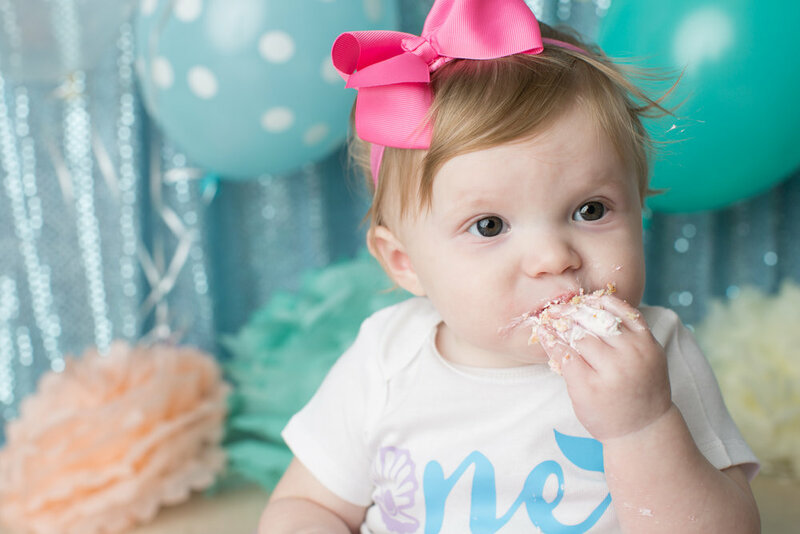 We'll cover all of the bases with family photos, individual baby photos, messy cake smash photos and an optional splash session to help with the clean up. Below you can read more about each part of this session and I've even included a prep list. First Up is Family Photos. We'll start with Family Photos in the studio or on occasion we can take this portion of the session outdoors. We want the session to reflect your family's personality. I suggest wearing clothing that is comfortable and not to much of a deviation of your normal attire "dressy" attire. I also always suggest coordination but not exactly match. Think neutrals or shades and a pop. Next we have individual photos of the Birthday Baby. During this portion we'll try a few different props and poses as we capture those sweet details. Big smiles, silly laughs, sitting up, and starting tall. You can bring an outfit or two for these photos as well as peruse the prop room for something extra cute. This is also a great time to include items of significance like a baby blanket. It's also a good time to shoot images that coordinate with newborn session photos. Did someone say cake? It's that time folks! This is the highlight of the session. 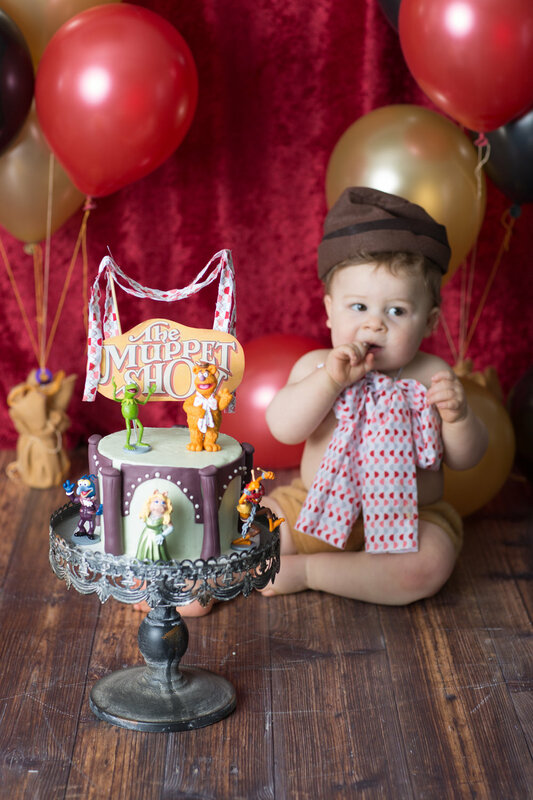 When you combine a baby and a cake what could go wrong? The messier the better. We'll let the little one go to town and enjoy the cake as we capture every details, crumb, and smudge. You'll need to provide the cake. Suggested bakers are listed in your prep sheet below. Now that we're a mess what do we do about it? Splash Session! Warm water and a bit of bubbles helps to wash off that sticky sweet coating your little one just spread all over their body. We'll encourage splashing of course! A towel is recommended if you choose to do a splash.